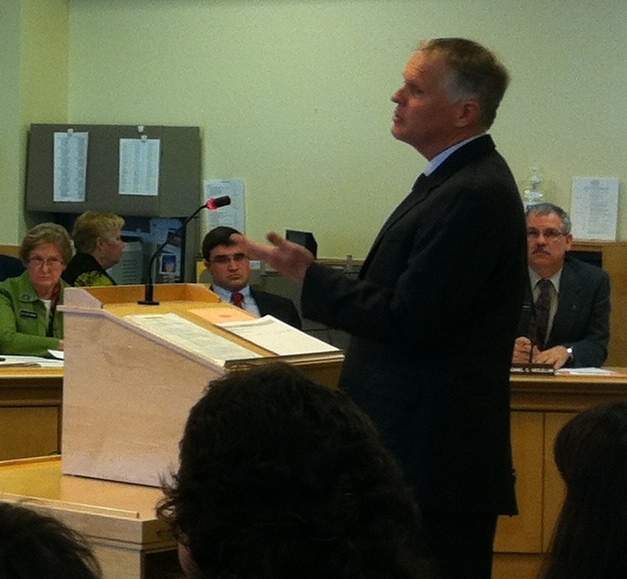 Link here to LD 611 (HP 430) “An Act To Adjust Maine’s Minimum Wage Annually Based on Cost-of-living Changes”. LD611 does two things. First, it raises the minimum wage by a dollar, and then it indexes it to inflation. Maine’s minimum wage hasn’t been adjusted since 2009, so as the economy begins its recovery, now is the time. We can all agree- I’m sure- that we should reward work. We should ensure that an honest day’s work is rewarded with an honest paycheck that puts food on the table, clothes on their backs, and oil in the tank. But just as important as raising the minimum wage now, we should take steps to ensure that as the cost of living goes up year by year, so should the minimum wage. If the cost of things like milk and gas and bread and heating oil go up by only a little bit, LD611 requires that the minimum wage goes up by the same percent as well. This will prevent minimum wage workers from getting a pay cut year by year, decreasing the buying power of their already less than adequate paycheck. First, if we put money in the hands of the people most likely to spend it and most likely to spend it locally, this drives up consumption in Maine’s economy. If we increase consumption and demand for goods and services, businesses will hire more to keep up with the demand. Just ask Vermont. They indexed their minimum wage to inflation in 2007, so today a minimum wage worker earns $8.60 an hour. Vermont’s unemployment is under 5%. Second, we should reward work. Someone who’s willing to work full-time should be paid enough to pay their bills. These are workers- workers who know that getting up each day to go to work means they are guaranteed a paycheck that will still keep them below the poverty threshold- but these workers get up and go to work anyways. The very least we can do as a state is reward their dedication to Maine’s economy and their commitment to self-reliance and personal responsibility. And that’s something that everyone from every party- Democrat, Republican, Independent, Undeclared, Green- should stand behind. We should reward the virtue of personal responsibility. This should be a non-partisan issue. LD611 demonstrates that we respect their work and gets them slightly closer to a livable wage. To be clear, the bill’s proposed increase to $8.50 is an extremely modest and conservative step in that direction and indexing to inflation simply ensures that the buying power of the minimum wage rises with the tide of inflation. Increasing the minimum wage will give a boost to consumption which benefits Maine businesses. But beyond the economic benefits, it’s simply the right thing to do to reward workers who know their paycheck will be less than enough… and they go to work anyway, to do their part to contribute to Maine’s economy. 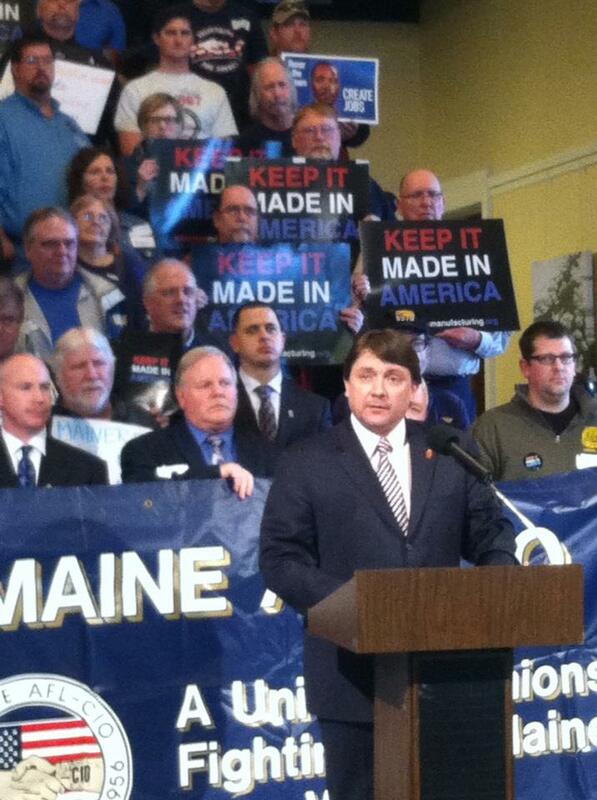 Senate Assistant Majority Leader Troy Jackson (D-Allagash) gave a tremendous barn burner of a speech this afternoon in the Hall of Flags to those assembled for the 2013 Maine Labor Lobby Day, sponsored by Maine AFL-CIO. Those in attendance spent the morning lobbying their legislators on bills of importance to Maine workers, including the minimum wage, Buy America, workers’ compensation, and the state budget. Each participant wore a badge that included the total amount of money their town would lose in revenue sharing under the Governor’s proposed budget. Below is Senator Jackson’s address as prepared. Good morning, brothers and sisters, and thank you for being here today. If you are here today, it is because you’re part of a growing number of folks who are recognizing thinks need to change if our economy is ever going to return to some sense of normalcy. If you are here today, it is because you believe in yourself, your friends, and your neighbors to be part of the restrengthening of Maine’s middle class. If you are here today, it’s because you reject the notion that the United States has to change its place in the world in order to meet the changes of the world. I am with you. But I am also here because as a young man who grew up in a place where people work unimaginably hard their entire lives, I learned just how badly people like us need to make sure our voices are heard in these halls. When a group of my fellow Allagash loggers and I came here in the 1990s, we saw how unfair the system can be to folks who are just trying to do the best they can for their families. The fact of the matter is simple; people who work for a living deserve action and respect from those who exist beneath this dome and behind these stairs. Today is the day working people and their families stop being a talking point and start being a focal point! Later I will be presenting a bill that if passed would direct the State of Maine to buy American resources at every realistic opportunity. With American manufacturing still fighting to come back, one of the greatest things we can do to help is to make sure when government money is spent, it goes back to that sector and our economy. That means it will be going toward keeping good jobs with good benefits that people can be proud of. Some would rather not acknowledge it, or would like to think that the best part of our past can’t be one of the good parts of our future, but having an industrialized nation with a high quality of life means having a strong middle clas. We must stop downplaying that making things is what the United States has always done best. Of course, it’s one of many things that we like to think that Mainers do best. The least we can do is make sure that our state supports this tradition, whether it’s by buying steel from Pennsylvania or boots from right down the road in Auburn. Let’s be in the business of purchasing paper from mills right here in Maine, not in eastern Canada. Let’s institutionalize common sense and fairness. We were sent here to Augusta by Maine’s people, not multinational corporations with factories in China and Korea, and I can tell you that every legislator with us today is determined to prove our commitment to coming good on that. There’s another bill being heard today that would raise Maine’s minimum wage to $8.50 an hour and allow it to adjust to inflation on an annual basis. Brothers and sisters, we need to do this. We need to do this for every single parent who just can’t put enough hours in to cover the bills that keep piling up. We need to do this for every student who graduated last year but has been unable to find a job that makes paying back student loans feasible. We need to do this for every large family that’s crammed into an apartment that’s too small for now because they can’t afford a place that fits. Hard work is more than the great virtues of sweat and dignity. If the value of milk and bread have changed, shouldn’t the value of a person’s time? We hear a lot about how Mainers ought to get off the couch, but the reality is that most Mainers are the best of workers, and maybe they can’t afford a couch- even the ones from Marden’s. So to everyone on minimum wage, we say to you: Don’t let anyone tell you you’ve done wrong because $7.50/ hour wasn’t enough. Don’t let anyone tell you it’s your fault that $7.50 couldn’t buy even 2 gallons of gasoline when you burn four going to work every day. Don’t let anyone tell you you’re a bum because even after putting in every hour you could, you don’t know how you’ll afford the mortgage on the home that has been in your family for generations. Don’t let anyone tell you you’re a bottom feeder because after you couldn’t find a second job, you stopped at the food pantry, the five or six mouths at home the only thing on your mind. Don’t let anyone tell you you’re lazy when you put your children to bed at night and you feel guilty that that college fund you started hasn’t had a deposit in it for more than two years, because after you got sick without health insurance $7.50 wasn’t enough. $7.50 isn’t enough! 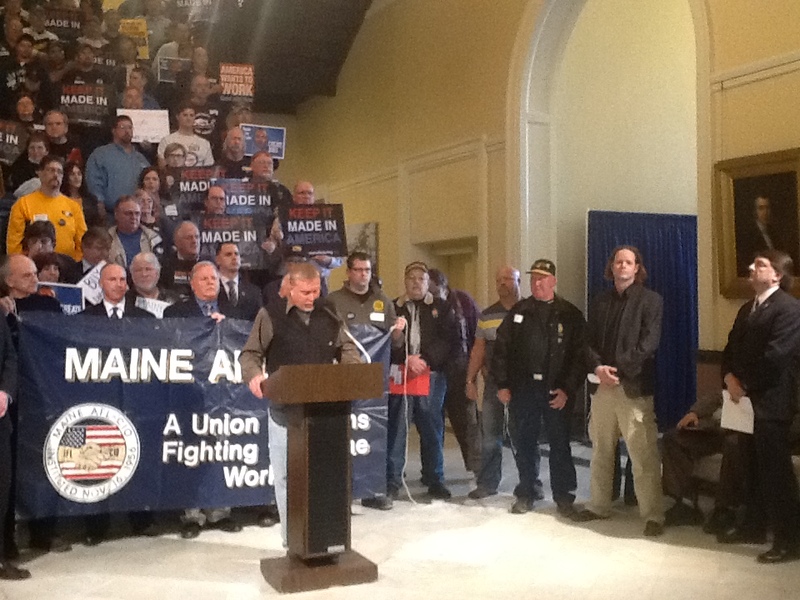 American workers are the best workers in the world and Mainers are a shining example among them! There is nothing we can’t do from right here in Maine, if we allow Maine to get to work the way it wants to! I see a future where the industries of our past are revived to compliment the markets and jobs of the future! Maine is an extraordinary state defined by an exceptional people and we’re not going to let anyone tell us different anymore! Thank you! 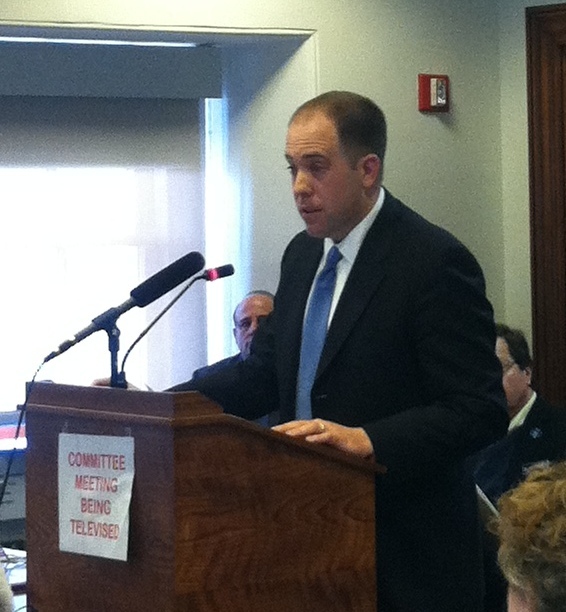 Yesterday Senate Majority Leader Seth Goodall (D-Richmond) introduced before the Veterans and Legal Affairs Committee public hearing his bill, LD 644, “An Act to Strengthen Maine’s Wholesale Liquor Business”. The following summary of the bill was provided to media by the Senate Majority office. It retains the business within the private sector–eliminating all financial risk to the state and without adding any additional costs to state government. It stipulates a strict timeline for issuing the RFP, including an award date by July 15, 2013. It mandates an open and transparent RFP bidding process to ensure the best value bidder is qualified with necessary financial, technical, management, operational, and marketing capacity. It provides two options on how to bid: either through one upfront payment or multiple upfront payments but both with additional annual payments growing over the length of the ten year contract plus profit sharing with the state as the business grows. Specifically, the bidder could choose between an initial payment of $200 million to be paid no later than June 30, 2014 or payments totaling $200 million to be paid within the biennial budget with at least $100 million being paid before June 30, 2014. The bill corrects the longstanding inequity with the state’s retail partner, the agency liquor stores, in terms of price and return of products. It will raise an additional $6.1 million for the state’s 480 liquor agents. The bill prevents a disruption of service to the state, consumers and liquor stores if for some reason the state is unable to properly administer the RFP process by allowing the existing contract to be extended for one year for not less than $34 million. The bill appropriates $100,000 annually to the Department of Substance Abuse to help reduce underage drinking by funding the Enforcing the Underage Drinking Laws Program. Chairman Tuttle, Chairman Luchini and members of the Joint Standing Committee on Veterans and Legal Affairs, I am State Senator Seth Goodall and I am here today to introduce LD 644 – An Act to Strengthen Maine’s Wholesale Liquor Business. Beginning today, your committee will consider two options for operating the State’s $400 million liquor business. 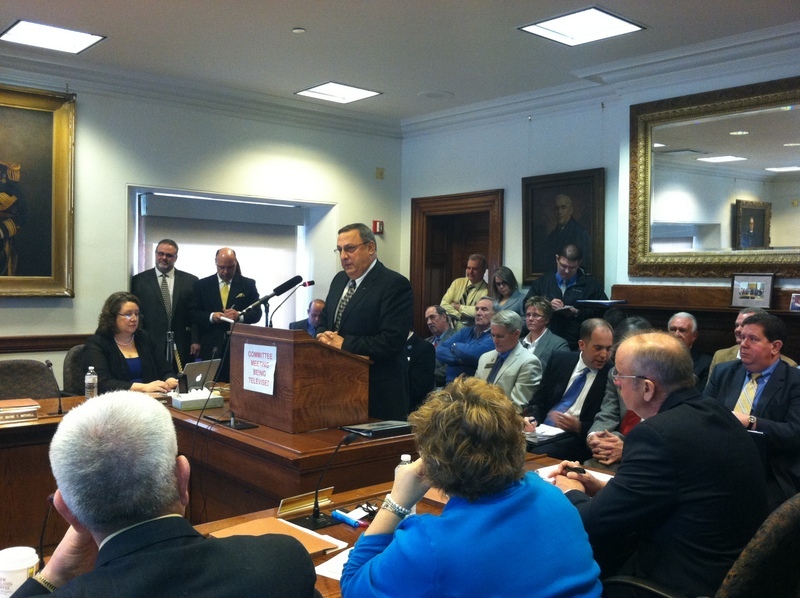 Governor LePage has put forth his plan and I am now introducing mine. We may disagree on our approaches, but let me be very clear – I agree with the Governor, we must pay our bills and pay back our hospitals. I also agree with the Governor’s urgency. Now is the time to pay our hospitals and our liquor business provides us the funds to do just that. But we must get the liquor contract right. We cannot rush to judgment as was done in 2003. By getting the liquor contract right, we will ensure timely payment to our hospitals. Prior to 2003, the State operated the liquor business and by all accounts it was underperforming. The complaints about service, delivery, and product-selection were endless. When the contract went out to bid, the value of the business was not well known. It was negotiated under pressure to fill a budgetary hole and as a result we did not capture the appropriate value for our asset, an asset owned by the people of Maine. Since then, the business has significantly increased in value, the number of agency stores has nearly doubled and complaints are nearly non-existent. To be clear, as a Democrat, I believe strongly that there are many things that state government does better than the private sector, but in this instance, history proves otherwise. My proposal unequivocally keeps the management and operation of the state’s wholesale liquor business in the private sector, with the experts. It eliminates all financial risk for the taxpayer and incentivizes the private sector to partner with the state to grow the business. The Governor’s plan takes back operation of the liquor business, including the financial risk, while retaining the right to issue service contracts to administrate the business. The differences are stark, the goals are hopefully the same and it is now up to you to get the job done. First, it retains the business within the private sector, eliminating all financial risk to the state and without adding any additional costs or positions to state government by issuing a new RFP on a strict timeline to have a contract awarded by July 15, 2013 and as a result repaying the hospitals by September 30th of this year. Second, it mandates an open and transparent RFP bidding process that will ensure that the “best value” bidder is qualified with the necessary financial, technical, management, operational and marketing capacity, amongst other qualifications. The qualifications required ensure service optimization and provides security to the State and its taxpayers because they will know that their asset, a $400 million business, will be run with the experience and knowledge and the wherewithal to perform. This is a very common bidding process accepted by the business community. Today, my brother runs the company that he and I started as teenagers. When he goes out and bids on municipal snowplow contracts, towns have similar, rigorous requirements, in order to insure that the contractor can perform. In fact, they often require site visits to inspect his equipment and financial assurances to minimize risk. Trust me, he is not bidding on $400 million contracts, but I would hate to think that the bidding qualifications to plow snow would be more rigorous than those for our State wholesale liquor business. I have met all of the bidders that are public to date. In my opinion, they are all qualified to bid and run the business. They all know the value of the current business, almost all the data is public. And because of this pencils will be sharpened, bids should be close and as a result, the state will receive the right and best value for its business. Third, my proposal provides two options on how to bid, either through one upfront payment or multiple upfront payments, but both with additional annual payments growing over the length of the 10-year contract, along with sharing revenue with the State as the business grows. Specifically, my amendment allows a bidder to choose between an initial payment of either $200,000,000 to be paid no later than June 30, 2014; or payments totaling $200,000,000 to be paid no later than June 30, 2015 with $100,000,000 being paid before June 30, 2014. Bidders will still be required to specify the amount of the guaranteed fixed annual payment, the formula for sharing revenue with the State during the life of the contract and the minimum profit margin the entity would need to be guaranteed to make its bid feasible. Fourth, and much to misunderstanding of many, this proposal allows prices to be lowered in order to compete with New Hampshire, but they must be lowered with respect to structure of the contract awarded to the private business. Maine is a control state. We set the prices. We should not be allowed to lower prices below a level that undermines the terms of the deal for which we just signed on the dotted line. Fifth, this bill corrects the longstanding inequity with our retail partners – the agency liquor stores both in terms of price and return of products. For too many years, agency liquor stores have received an inequitable return for their role as our partner. Floor space in stores is valuable, return on investment is important. Just like with lottery sales, our partners do not receive fair compensation and in turn the system lacks the proper incentive to help our overall business grow. And my bill makes this much needed course correction. My proposal will raise an additional $6.1 million for our 480 liquor agents. It is not a promise, nor a commitment to fix in rule making. It will be the law. If adopted, it is a statutory and immediate legal commitment of the State. The Governor’s proposal guarantees no return but his administration promises to address it through rule making. I have served on this committee before; I have heard the requests from agents for too long. I have visited their stores. It is time to fix this inequity and we shouldn’t trust rulemaking to get it right, now is the time. Sixth, this bill creates a contingency for our State, liquor stores and consumers. Too often our State has failed at properly administering RFP processes and as a result potentially jeopardized service and millions of dollars, as is currently the case with the lottery services contract which is costing the state millions and millions due to the challenges. If the State is unable to get a new contract in place by July 1, 2014 then after a public hearing the existing contract may only be extended for one year and only after they have received a value of not less than $34 million. A newspaper recently called this “scary,” I call it prudent planning. Seventh, my bill as amended appropriates $100,000 annually to the Department of Substance Abuse to help reduce underage drinking by funding the Enforcing the Underage Drinking Laws Program (EUDL). This program will provide grants to agencies to lower underage drinking and increase enforcement to help eliminate the sale of alcohol to minors. I did not include language in my bill to further address enforcement; however, this committee needs to take this issue on and now is the time, and that also applies to tackling substance abuse. Lastly, we must use the upfront revenue we receive from the liquor contract to repay the hospitals. If you as a committee and we as a Legislature do this right, our outstanding bills to Maine’s hospitals will be repaid by September 30th of this year, under the watch of this Legislature and this Governor. Now is the time. We must put this debt behind us, so that we can work together with the hospitals on reform focused on improving and lower the cost of health care for our citizens. This proposal guarantees payment to the hospitals without borrowing debt to pay off another debt, it avoids any constitutional uncertainty, it makes payment no later than September 30th this year and, as a result saves the state $5 million. It is a straightforward plan with zero risk to the taxpayer, no borrowing from Wall Street. It is fiscally responsible and a sure way to pay back the hospitals. The Governor’s plan is risky, constitutional questions remain unanswered, there is no timeline and it costs nearly $45 million more than our plan as a result of interest and fees for borrowing and not paying off the debt before October 1st of this year. The proposal that I am proposing today gets the job done without question and with certainty. Lastly, I would encourage this committee to think long and hard about funding other priorities in this state with the annual payments that will still be available after any upfront payment. I support Senator Flood’s long-term efforts to fund water and sewer and roads and bridges. I personally believe that these need to be funded. But we also have to consider other priorities such as education and health care. After we pay the hospitals, I believe we have the opportunity to support Senator Flood’s efforts, along with making investments in education and health care. This opportunity comes around once every ten years and we must get the liquor contract right so that we can pay and make investments in our future. This isn’t about one party or one campaign, it’s about getting it right and doing our job. Senator Tuttle, Representative Luchini and members of the Veterans and Legal Affairs Committee. 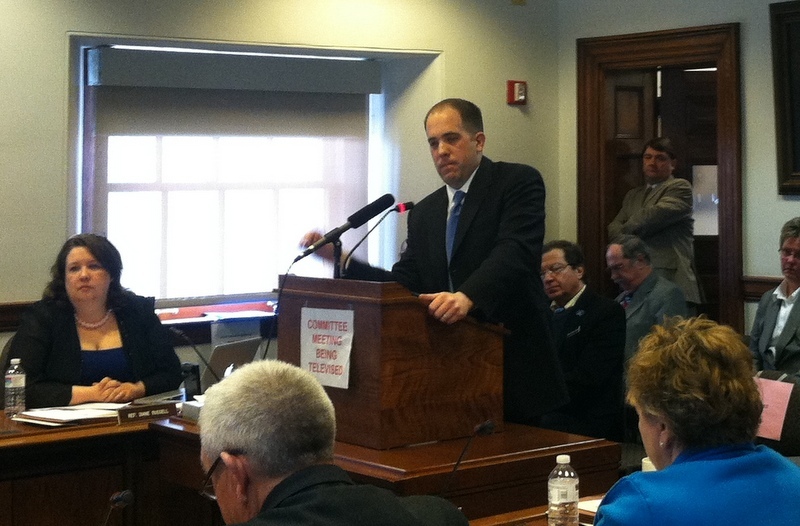 We are all here today to address a vitally important matter for th State of Maine and its future. On January 15, I announced a plan, emergency legislation, that pays nearly half a billion dollars in unpaid bills to 39 Maine hospitals. Maine needs serious welfare reform so it can afford to pay for a quality safety net for our most needy. 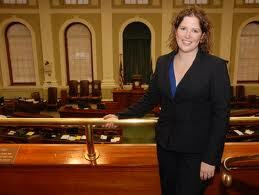 But that does not change the fact that the State owes $484 million on Maine’s hospitals- debt that dates back to 2009. Paying this bill is the right thing to do. It will place Maine in better financial standing and enable the State to invest in bonds for hundreds of projects across Maine. I recently discovered that Mainers’ earnings are lowest in New England. This income is a critical measurement of economic prosperity and demonstrates how Maine’s economy is doing. 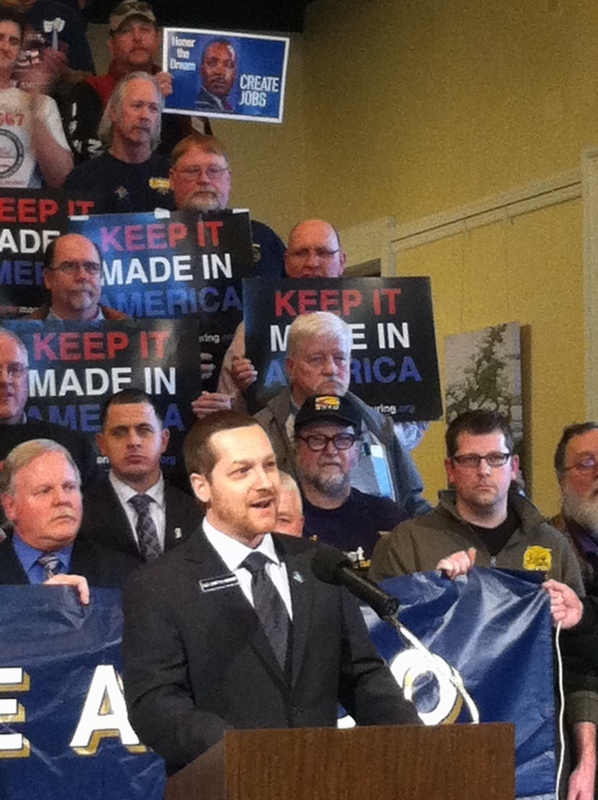 Maine is struggling right now and Mainers deserve someone to push this jobs bill forward. Hospitals have been forced to lay off employees and keep positions vacant. Hospitals have been forced to deplete savings and some have relied on lines of credit to pay their own bills. Hospitals have delayed payment to local vendors impacting the financial status of of hundreds of small businesses in local communities. The hospital debt has delayed construction projects which could create hundreds of critically important construction jobs for Maine’s economy. I have a plan that will pay back the hospitals, make the state’s liquor business more competitive with New Hampshire, and release millions to pay for clean water, transportation projects and start setting aside money for our depleted rainy day fund. Under my plan, about $700 million would surge into Maine’s economy- and it could happen by this spring’s construction season. I am not a fan of political games and the tactics used to derail this plan, which benefits not only hospital employees and construction workers, but also Maine consumers, small businesses and retailers, have frustrated me. So, yes, I am frustrated. And I am passionate about our state’s future. I know firsthand now tough it is to go without a job, how scary it is to live without a safety net and how chilling it is to pile up bills that cannot be paid. I don’t want any Mainer to have to suffer like that, and I don’t want my state to operate that way. I’ve dedicated my life to improving private-sector businesses, and I’ve spent years helping my fellow Mainers through public-sector service, which I consider a person’s highest calling. If we are going to have a prosperous state government and make it affordable and efficient for everyone, if we are going to manage our finances responsibly and run our state like a business so we can help all of our customers- our fellow Mainers- then we must make the tough choices. We must make the right decisions. We cannot play politics with people lives, and we cannot wait any longer. 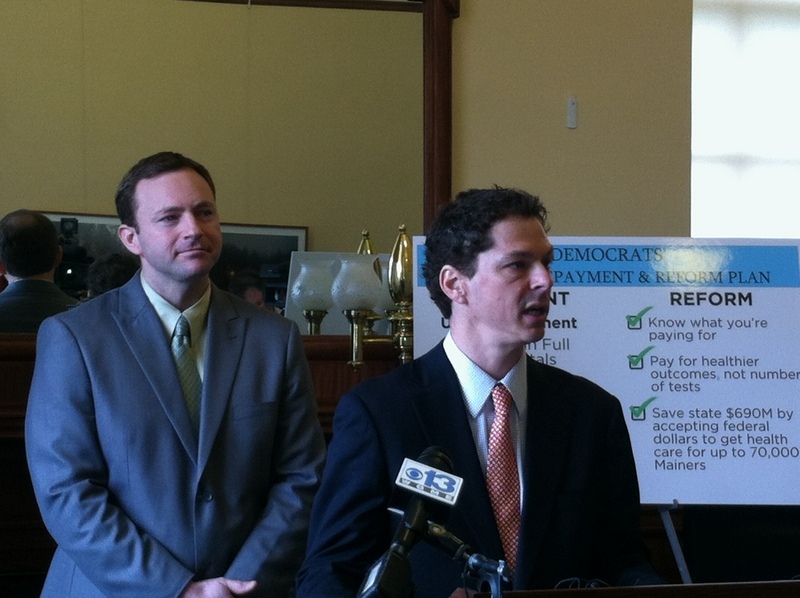 AUGUSTA—Democrats today unveiled a comprehensive “Hospital Repayment and Reform” plan that would make the final payment on Maine’s hospitals debt and institute reforms to help prevent outsized medical bills in the future. The plan would provide sustainable healthcare for more Maine families. Under the Democratic Repayment and Reform Plan, the hospitals will be paid in full by September 30, 2013, from the financing of the state’s liquor contract. By paying the hospitals prior to October 1, 2013, the state will save $5 million. The payment would trigger a federal match of $298 million, completing final payment to Maine’s hospitals. Key components of the reform package include: increasing transparency in medical billing, tying payments from the state to positive health outcomes; and accepting federal dollars to expand access to health care under the Affordable Care Act. The final payment to the hospitals under the Democratic plan comes at no financial risk to Maine taxpayers and does not include a borrowing scheme. The money would come directly from the winning bidder to the state’s $400 million liquor business. A recent report by Time Magazine revealed exorbitant medical costs hidden in bills from hospitals in other states, including one charging $77 for a box of gauze for a patient diagnosed with lung cancer. Democrats also said hospitals and Governor LePage should support accepting federal dollars under the Affordable Care Act to increase access to health care for up to 70,000 Maine people, through so called Medicaid expansion. 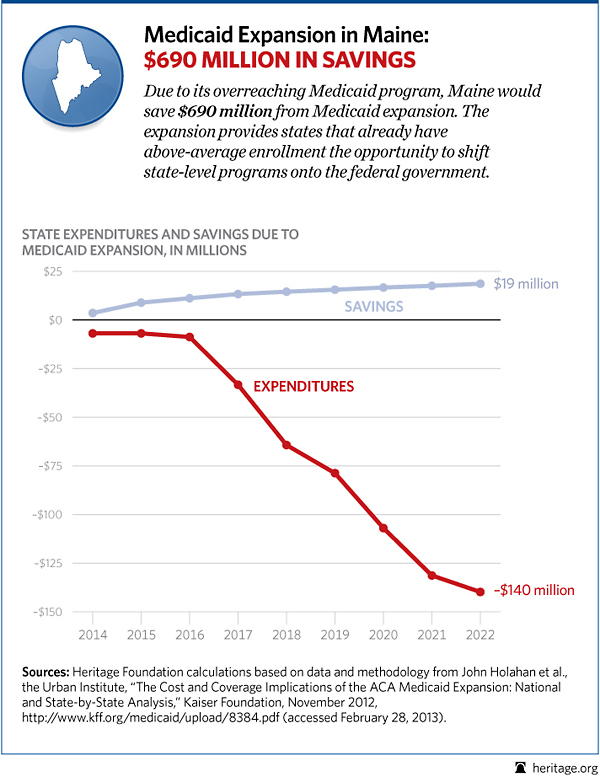 Accepting the federal dollars would save the state $690 million over the next decade, according to both the conservative Heritage Foundation and the nonpartisan Kaiser Foundation. Maine hospitals would also realize savings from the reduction of charity and preventable emergency care. Since Governor LePage came into office, his administration has cut health care for thousands of Maine people, yet costs continue to rise. 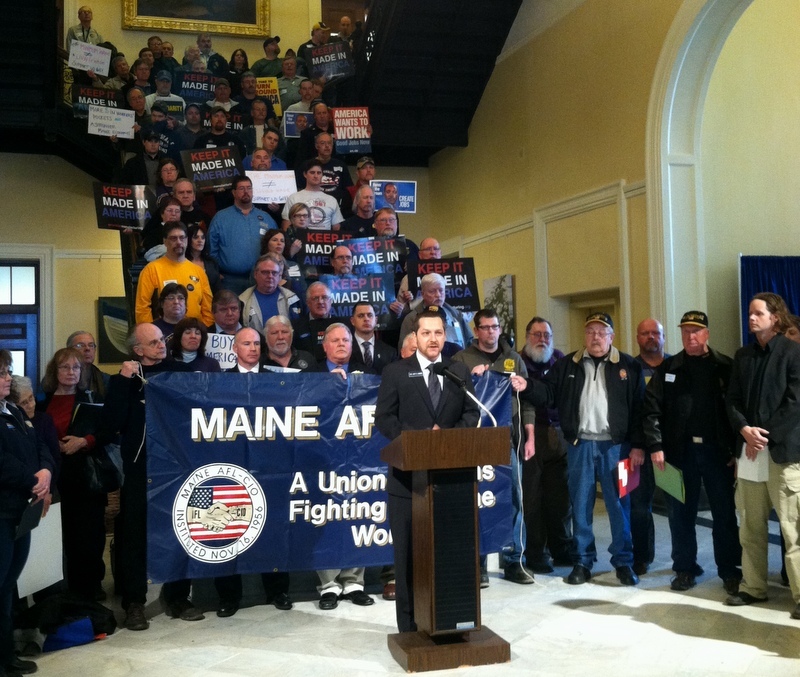 In 2014, 44,000 Maine people will be denied health care, including veterans, the elderly, and people with disabilities. Governor LePage and the Republican Party have politicized the hospital debt, using it as ransom to release key economic investments needed for job creation in cities and towns. 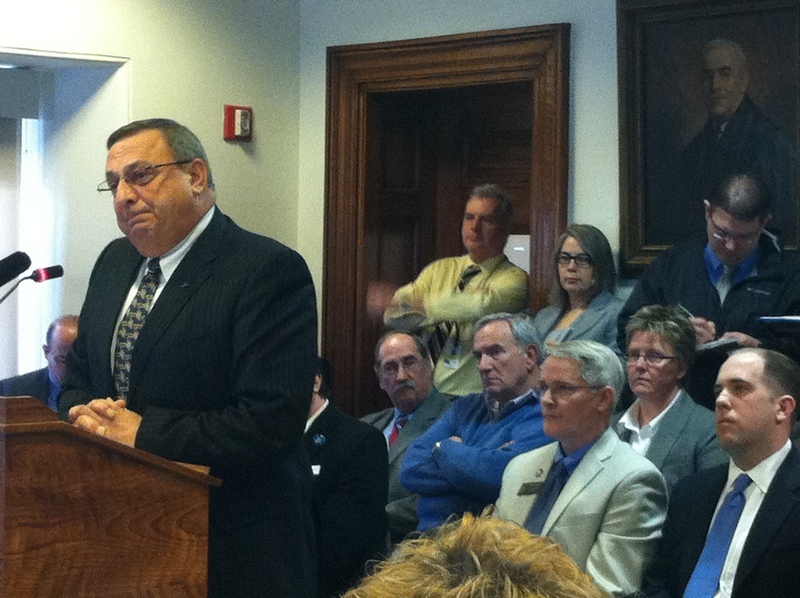 Last week, LePage twice threatened to launch a veto spree until his demands were met. Governor John Baldacci inherited 11 years of unpaid hospital debts on his first day in office. In 2009, Democrats changed the way Maine pays it’s hospitals to a “pay as you go system” to prevent the cycle of debt. In 2010, the Democratic system went into effect and has been administered by the Republican Administration. AUGUSTA – Two conservative groups, Americans For Prosperity of Maine and the Maine Heritage Policy Center, presented a video clip they allege exposes “vulnerabilities” in Maine’s Department of Health and Human Services. The video, sent to Carol Weston, state director of AFP, by James O’Keefe, shows an actor portraying a drug smuggler attempting to receive medicaid benefits. According to Weston, he eventually leaves the state office with an application form to fill out to receive MaineCare benefits. The video shows the DHHS worker, identified only as Diane, suggesting that because the applicant receives no paychecks to report he has no income – despite the fact that he tells her he runs a cash business. But the worker also repeatedly tells the applicant, who speaks with an Irish accent,that she cannot help him fill out his application until he presents photo identification, a passport or naturalization papers. She also repeatedly tries to get him to apply for insurance through Dirigo Health, which offers subsidized insurance, but would require him to pay a premium. LePage’s office were quick to respond, releasing the following statement below. It is interesting to note that while the governor applauds the actions of attempting to fraudulently file for MaineCare by O’Keefe, LePage also acknowledges that the DHHS worker herself committed no fraud. Augusta, Maine – The following statement from Governor Paul LePage was released Thursday morning from the Office of the Governor. “I am concerned with what I saw on the video for two reasons. First, that we are not providing the best service to the citizens of Maine. Much time was wasted in this interview. Second, it was clear to me that this individual was poorly trained and I take full responsibility for that. The video in its entirety does not show a person willfully helping someone de-fraud the welfare system. It does show a need for further job knowledge and continuous and improved staff training. The employee has been on the job for approximately a year. We need to do a better job providing our employees the best training possible and ensure they know their job and the responsibility that comes with it. The Fraud and Abuse Work Team has identified the need for better education and training of front line staff in identifying and preventing fraud and abuse. They also are working to identify systems vulnerable to fraud and abuse. Although I do not believe the video shows an employee willfully allowing abuse of the welfare system, I do believe it is an example of how poor training can open the door to fraud and abuse. We must protect the limited resources for those who are truly in need and shutdown the benefits for those abusing the system. Seems to me that a good first step for Mayhew would be to call on the AG, to see if charges should be brought against O’Keefe! 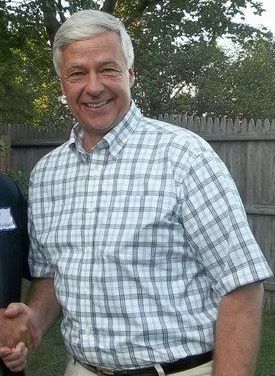 Lance Dutson, chief executive officer of MHPC, said while the video only depicts one instance it supports the theory his group has about the ‘culture’ at DHHS.”It shows clearly what many of us have believed for some time – that Maine’s welfare system is exceedingly vulnerable to fraud and that we have front line stewards of taxpayer funds who are not adequately equipped to perform their duties,” he said. Sara Gagne Holmes of Maine Equal Justice Partners emphasized that the video showed no actual fraud and the applicant did not receive any benefits. From looking at the MaineCare application information page, it appears that the worker and her supervisor followed the accepted protocol. To find out whether you are financially eligible, you will need to visit one of the Regional Offices of the Office of Integrated Access and Support Services. Use the Office Finder to locate the office which serves you.Before your visit, you can print and complete the application by clicking on the link below. (You may prefer to have the form completed during your interview.) If you are not sure which application to complete, call the office which serves your town. Copy of savings bonds that the applicant or spouse have an interestNote that DHHS is expected to review the 60 months prior to application to determine if the applicant or their spouse gave away something of value without receiving equal value in return. This is called a ‘transfer of asset,’ and depending on what was transferred, when and to whom, it may result in a penalty. The penalty is based on the value of the transfer and results in a period of months MaineCare will not pay long term care expenses on behalf of the individual. To do this review we request: Statements on all savings and checking accounts, certificate of deposits, IRA or other investments for the prior 12 months, and the statement on that same account for month 60 prior to application.Documentation of values and use of all assets cashed in, closed, sold, transferred or otherwise liquidated during the 60 months prior to application. Did this trip to Maine violate O’Keefe’s 3 year parole conditions, after he was federally charged in Louisiana last year? Who financed/ is financing O’Keefe? Weston and Maine Heritage Policy Council’s Lance Dutson claim not to know. Did O’Keefe break Maine violation of privacy laws? The answer appears to be hinged upon whether or not the DHHS offices are considered public or private property. If that is indeed the case, O’Keefe could be in a world of trouble- and the LePage administration today, along with the MHPC and AFP, were applauding criminal acts against Maine state law. Oops! UPDATED: Here is a video of Ms. Sukeforth’s testimony. Rachel Sukeforth of Litchfield testified yesterday in strong opposition against the nomination of former Rep. Jonathan McKane (R-Newcastle) to the Dirigo Health board. Below is her written testimony. Good afternoon Senator Gratwick, Representative Treat and members of the Insurance and Financial Services Committee. My name is Rachel Sukeforth and I’d like to raise some concerns about the nomination of Jonathan McKane to the Dirigo Health Board. This committee has heard about some of the derrogative and generally offensive language that nominee Jon McKane has used to describe his political opponents and the program he now seeks to represent. I’d like to offer testimony today on a specific and particularly troubling aspect of this behavior, the language Mr. McKane has used to describe women involved in health care policy in Maine. Mr. McKane has, many times over a period of several years, referred to the administrators and supporters of the Dirigo Health program as “Dirigirls.” A Google search of the AsMaineGoes.com domain for the term along with Mr. McKane’s name returns 67 results, most of them linking to posts he has made or discussions he has engaged in featuring the term. By using the term at all, Mr. McKane was engaging in sexism by marking the gender of and subtly infantilizing the women involved in Dirigo. That would be bad enough, but Mr. McKane actually makes it clear in his posts that he intends for the word to be a genderbased insult. On two occasions he calls male Consumers for Affordable Health Care executive director Joe Ditre (whom he refers to as Joey Dirte) a Dirigirl and makes it clear that the remark is meant to be derogatory. As a scientist, I know how hard women must sometimes work to make progress in a male dominated field. As a graduate of Emerge Maine and a woman involved in politics and advocacy, I am acutely aware of the long struggle for respect and equality for women in government and public policy. For Mr. McKane to use his position of authority to spread this kind of sexism is an insult to this legislature and the State of Maine. It should certainly disqualify him from serving on a government board. Lest one think that Mr. McKane has outgrown these kinds of unfortunate statements, I’d point the members of this committee to a post he made on the As Maine Goes website just a few months ago. 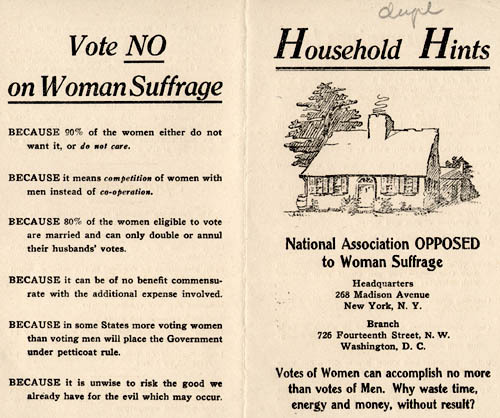 Mr. McKane responded by posting a historical pamphlet from a group called National Association OPPOSED to Woman Suffrage, listing a number of reasons why women should not be allowed to vote. I’m sure Mr. McKane would say this, like his many other misogynistic comments, is “just a joke and we should get over it”. Well, I’m sorry, but the right of women not to be attacked for their gender when they vote, when they work in government and when they speak out for what they believe in is not a joke. It should be their fundamental right. These concerns are especially important when it comes to the board being considered here. Women are vitally important consumers of health care in Maine. As a young women, working full time, uninsured and grappling with my own recurring reproductive health issues, I am particularly concerned for the future of access of women to preventative health screenings. To select someone, such as Mr. McKane, to a board with such a broad mandate who has said these things and holds these views would be unfair to Maine women and to all Maine people who expect to be treated fairly by their government institutions. Hey Dave- Thanks bunches for illustrating again why Maine Dems won BIG in November. Now, Shush! And who can forget Dave’s work during the last election cycle? He did such a great job in getting Tom Martin re-elected, huh? Well, such is what happens when one captures a moment of time and tries to make a statement out of it, with none of those pesky supporting facts and such. Certainly we on the left could do the same! 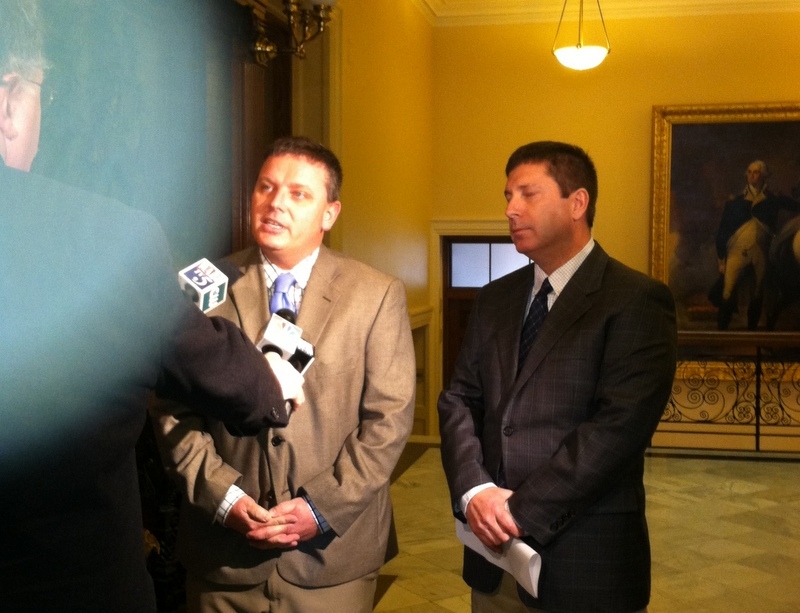 Senate Minority Leader Mike Thibodeau lulls House Minority Leader Rep. Ken Fredette with a soothing fairy tale told to Maine media… shush, now! See how this works? It is cheap political theater at best; mean-spirited nonsense at worst. It does nothing to work on the serious issues at hand; it doesn’t tell the truth of what is being said or done. Goodness knows, Sorensen is quite skilled at shaping conversations even against members of his own party! Two individuals have been identified as participating in this attempt to sow convention confusion. 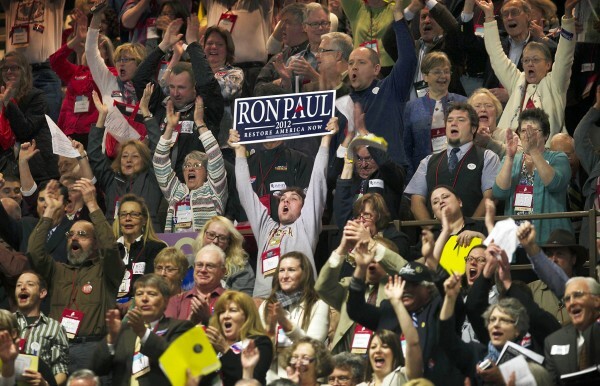 One is Maine House Majority Office Policy Aide David Sorensen, who reportedly nominated the fake Paul slate from the floor. Before and during the convention, Sorensen mocked the Paul people, who he termed “Ronulans,” on Twitter and implied that they believe conspiracy theories about the United Nations and black helicopters (which, to be fair, many of them do). Paul supporters fault Sorensen both for engaging in a dirty trick and for taking precious convention time with his actions and making the entire event take longer, possibly costing the state party extra money in rental fees for the Civic Center. Sorensen, reached for comment, repeatedly and pointedly refused to discuss any aspect of the convention, including the actions of which he is accused. 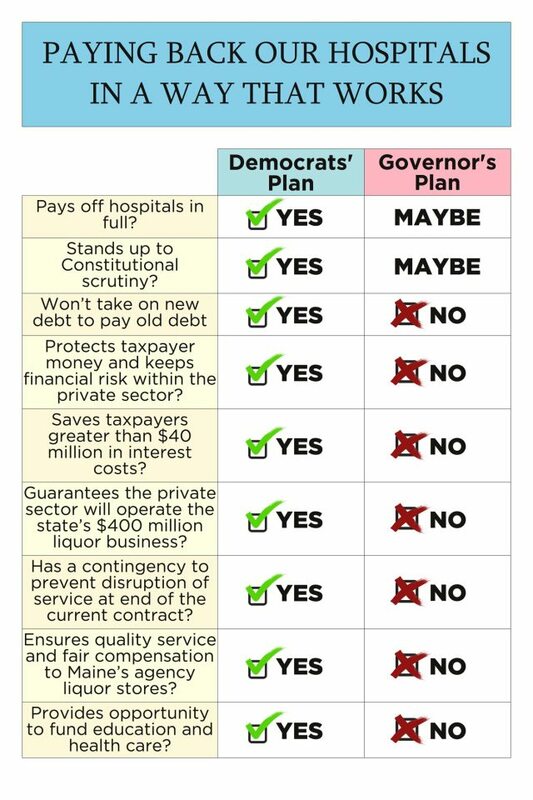 But here’s the reality that the GOP doesn’t want Mainers to know or remember: The Democrats when in charge of the Legislature HAVE been paying down the hospital debt that occurred under the McKernan and King administrations, have been making solid payments for years and have not let up once on honoring their commitment! – state government refused to pay hospitals back payments that were due to them. That was bad for local hospitals, all of which are non-profit and many of which are small community-supported organizations and the life center of health care for their regions. It was also bad for patients, who rely on hospitals’ continued coverage of Medicaid and Medicare patients. And the trickle-down impact of unpaid debts to hospitals goes even further, affecting the premiums we all pay for health insurance as hospitals have to increase charges to cover unpaid debts and charity care. Gov. John Baldacci inherited 11 years of unpaid debts on his first day in office. With a structural gap of $1.2 billion, demands for increased school funding, and many other legitimate and pressing needs competing for scant dollars, Gov. Baldacci might have been forgiven if he had let the unpaid debts go unpaid a little longer. Instead of taking the easy route, the governor showed his typical unrelenting commitment to fiscal responsibility by putting the state on a path to pay off these debts. 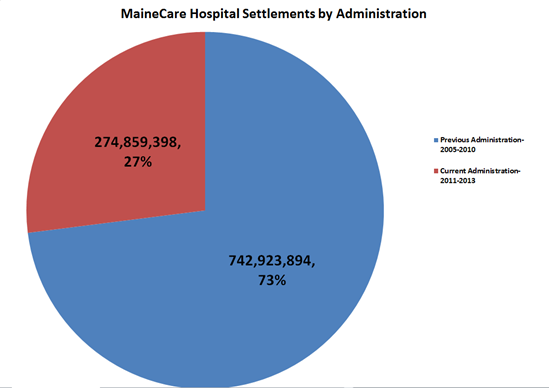 As of this week, Maine has paid hospitals for all outstanding debts owed from 1992 to 2004. We have moved from 11 years in arrears to less than two years. 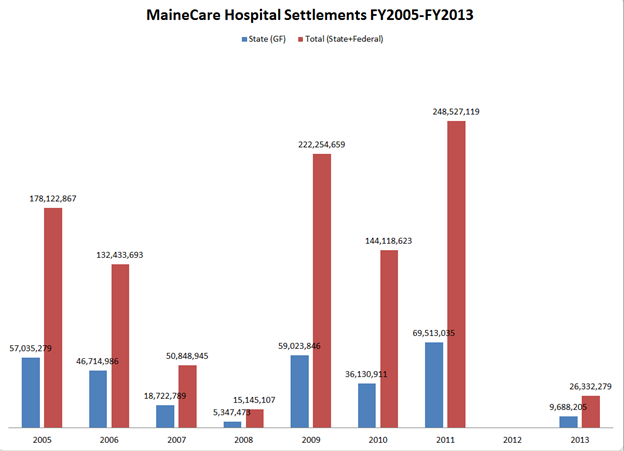 FACT: Maine has been steadily and increasingly paying down hospital debt for the past decade. Democrats strongly believe paying back the hospitals is a priority. 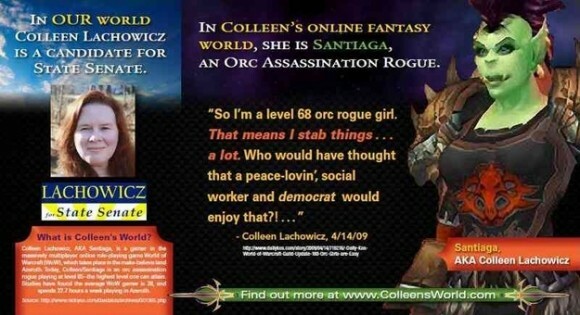 That’s why we’ve been doing it for over a decade. 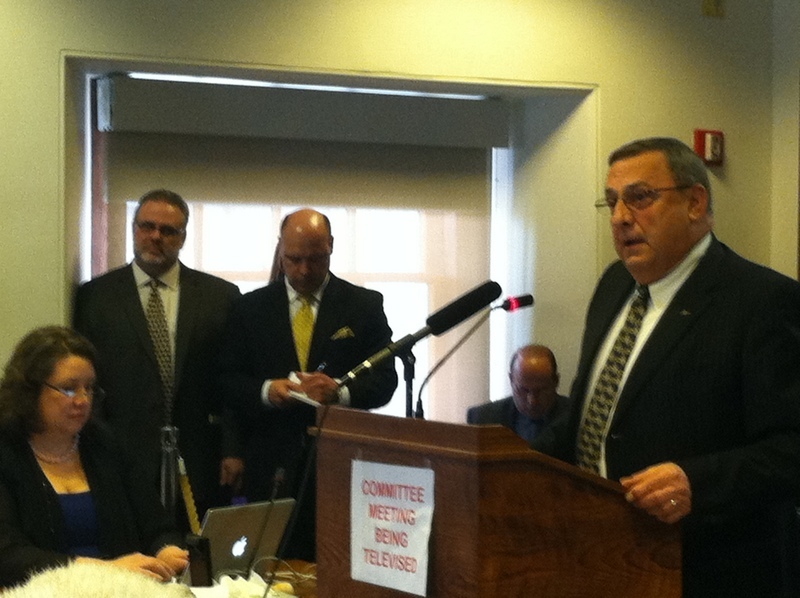 · Maine has already paid back more than $3.7 billion to hospitals over the past decade. · From fiscal year 2005-2010, the combined state and federal settlement payments to hospitals totaled $742 million, according to the nonpartisan Office of Fiscal and Program Review. Under the LePage Administration, in fiscal year 2011-2013, hospitals will recoup $274.9 million in state and federal dollars. · Moreover, in an effort to prevent the debt cycle, Democrats led the change to a “pay as you go” system. The law changing the system was passed in 2009 before LePage took office. The change was fully implemented in 2010.
o The 124th Legislature in PL 2009, Ch. 213 moved to abandon the Prospective Interim Payment (PIP) system of reimbursing hospitals which requires a settling up of bills after the fact with reimbursements based upon DRGs (Diagnostic Related Groupings) and APCs (Ambulatory Procedure Codes). APCs cover outpatient services provided by hospitals, DRGs are related to inpatient services. Both apply only to noncritical access hospitals. Critical Access Hospitals (CAH) continue to be reimbursed on at 107% of the Medicare rate for services. Title 22, § 3174 LL and MM contain the results of PL 2009, Ch. 213. Hush now, Dave… Ken is sleeping! 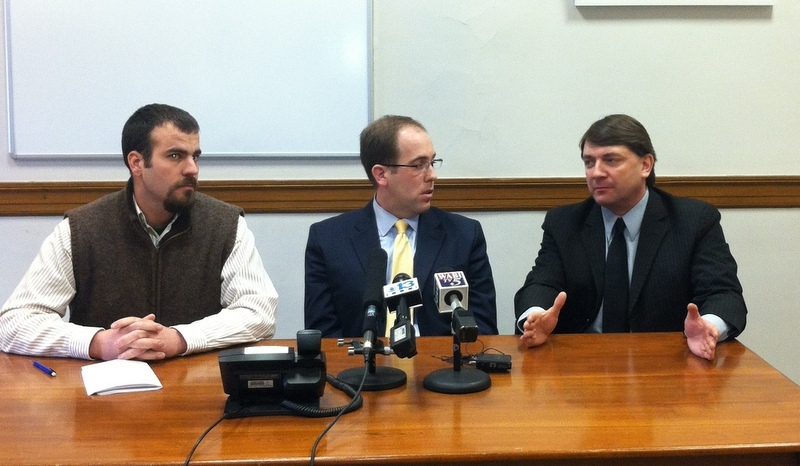 Members of the Democratic Majority leadership held a media availability press conference this afternoon to discuss Governor LePage’s threat to halt the work of the Legislature by abusing his veto power and shutting down state government. During a radio interview this morning, LePage “promised” to veto every bill that crosses his desk until his convoluted liquor bill becomes law. At some point it must be acknowledged that this guy is far more interested in working on his golf game in Florida than actually doing his job. This is not leadership, not by a long shot.